The fact that Philadelphia prosecutors kept a secret list of police officers suspected of lying about arrests and other misconduct is a sad indictment of the city's criminal justice system. It screams for the umpteenth time that this city's elected officials need to put police reform above politics. The list reportedly was compiled months ago by former District Attorney Seth Williams, who ironically sits in prison following a corruption conviction last year. The list served as a cheat sheet of sorts to help prosecutors avoid calling cops to the witness stand whose testimony couldn't be trusted. Sources told reporters Mark Fazlollah, Craig R. McCoy, and Jeremy Roebuck the list addressed a problem seen in many cities, "testilying," which includes falsifying evidence, framing suspects, and lying about it in court. 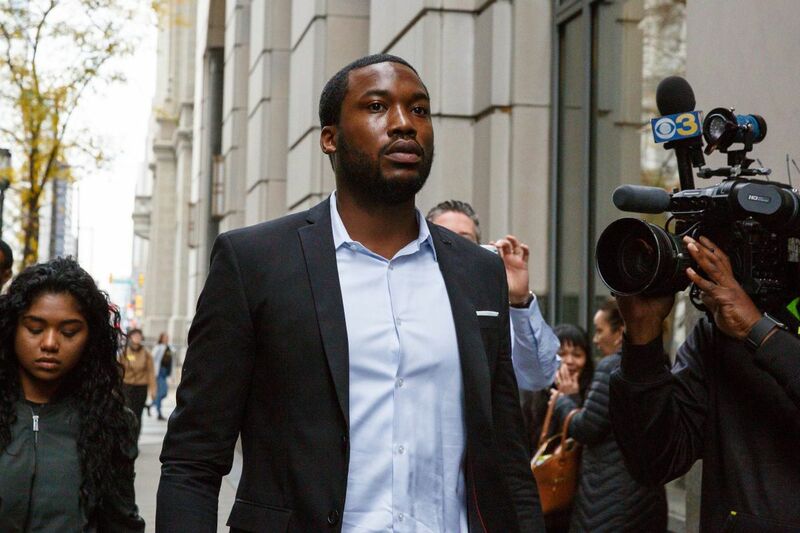 Reportedly on the list was the officer who arrested rapper Meek Mill in 2007 for violating his parole on earlier gun and drug charges. Revelation of the bad cop list spurred calls by criminal defense lawyers for it to be made public by District Attorney Larry Krasner, who until his election last year was a prominent member of their collective. Krasner, as a defense attorney, was an outspoken critic of police abuse and ran for office promising to attack it. Prosecutor Krasner has been a bit more circumspect, saying his office needs time to consider the ramifications of releasing the list, including the impact that could have on criminal cases that were resolved based on testimony by officers whose integrity was questionable. Whether cops on the list are guilty of crimes, ethical lapses, or other breaches also must be considered in releasing their names. However, almost any document prepared by officials who work for taxpayers eventually should be made public. A good first step was Krasner's acknowledging the existence of Williams' secret list. More important than the list itself is what Mayor Kenney and City Council are going to do about a Police Department with rogue cops who remain on the force even when the District Attorney's Office believes they can't be trusted. This isn't a new problem. A Task Force on Police Discipline set up by Mayor John Street in 2001 admitted that it was repeating similar reform efforts that had occurred at least six times over the previous 35 years. Each time those efforts fell short. Repeated corruption and civil rights violations led to creation of a Police Integrity and Accountability Office, but Street disbanded it in 2005. Every attempt since to reform the department has been met by a brick wall called the Fraternal Order of Police, whose political strength mushroomed in 2011 when it won a lawsuit allowing it to form a political action committee that directly contributes to candidates. Just as the knee-jerk NRA opposes any attempt at gun control, the FOP defends any cop, good or bad, and elected officials dare not risk challenging the FOP's clout. Kenney and Council need to negotiate contracts with the union that limit its ability to influence disciplinary decisions. Do that and prosecutors wouldn't have to keep a secret list of which cops can't be trusted.